IAMBRIGITTE : Hopeful, Or Just Plain Stubborn? Hopeful, Or Just Plain Stubborn? When people tell me, "Wala lang kadala-dala!" (You just don't learn!) I keep my mouth shut. Why? Because they are right. Yes, there are things in my life that I keep on doing despite them ending up differently from my expectations. Why? Maybe because I don't give up on hoping that someday, somehow, they will end up exactly the way I want them to be. Who knows, maybe it's not me who'll get enough of failing but instead, it will be those things which will end up getting tired of failing just to disappoint me. Same case with people. Or maybe, sadyang matigas lang talaga ang ulo ko (I am just too stubborn). Anyway, I am just talking about my DIY haircolor gone wrong (kala nyo kung ano na ano!?) AGAIN! Again, because I've been committing this booh-booh for a number of times already. 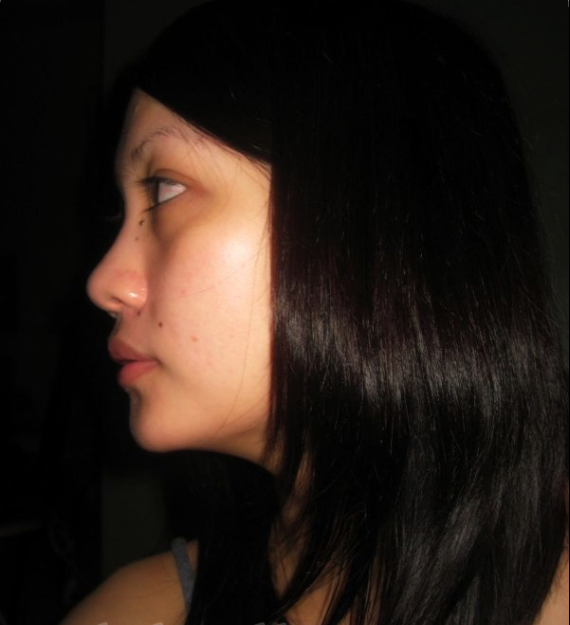 I once tried DIY haircolor and from having a reddish brown hair (with some highlights), I ended up with black. Not really black but still way darker than my usual. Though some actually loved how it turned out (most especially Mr. X who prefers me with black hair), still a lot of people said that a lighter haircolor suits me better. And I personally agree. So what did I do? I ended up in the salon weeks after for a full base color plus highlights and some 2-3 hair treatments just to make sure my hair won't end up so dry. You probably know already that I used to have really long, curly hair until I decided to have it cut to a very short 'do last summer. I had it coloured too with some highlights. Four months (and some ridiculously expensive trims) after, the color has grown out too. I first thought of having the color done when I go home to December (yeah baby, I am coming home for the holidays WOOHOOO!) but I don't think I can wait that long. Ang arte ko lang, di ba!? 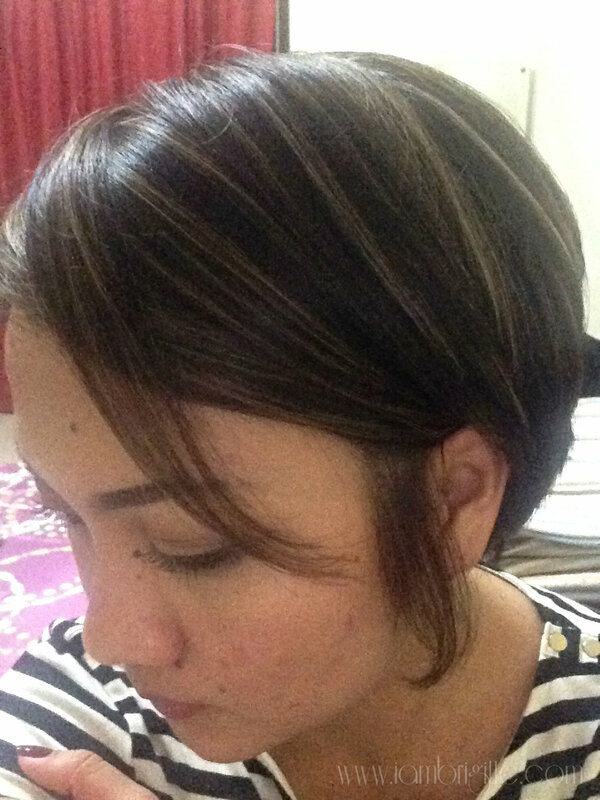 But since hair services here in the UAE are so darn expensive, I thought of doing it myself again. 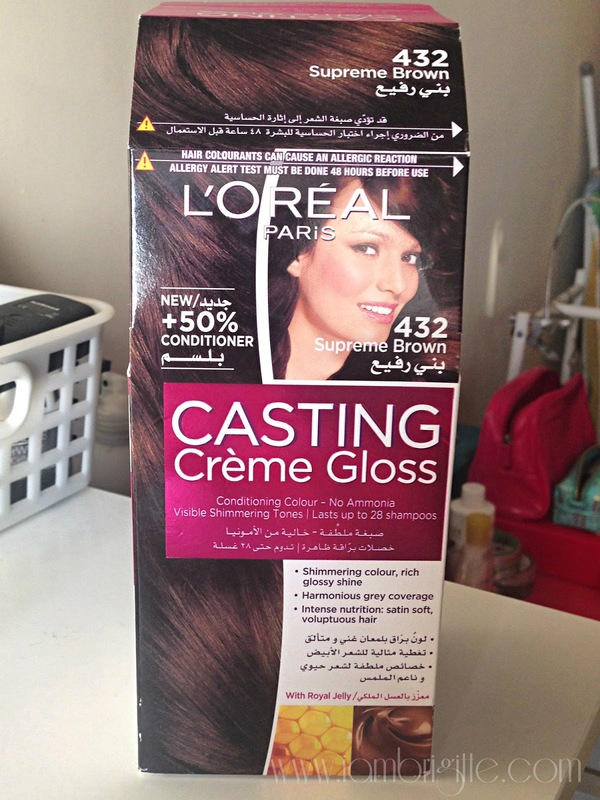 A box of haircolor costs 50AED or less. Compare that to what…a 350Dhs full-head color!? Pano pa pag may highlights!? No way, jose! Ahmm…I wasn't happy as soon as I got out of the shower and saw the color. Ekk, it turned out dark again! 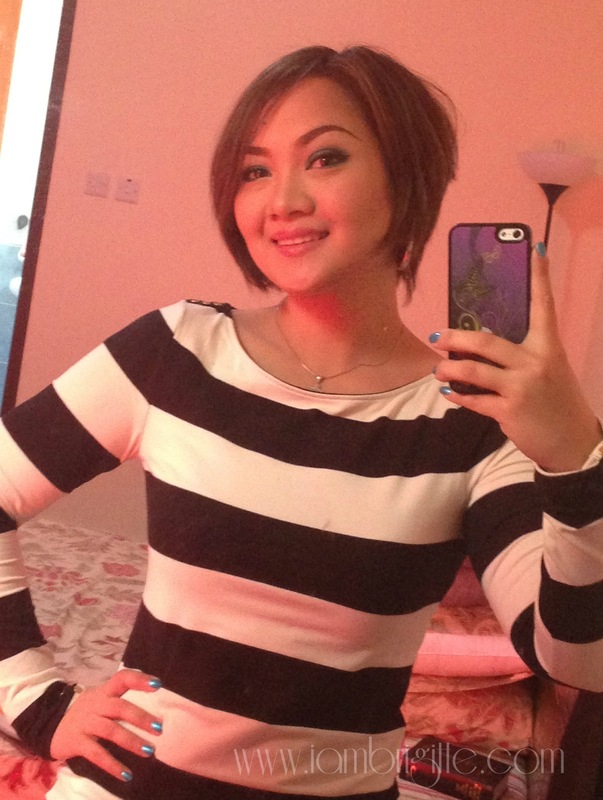 When I asked the husband, he just said, "Okay lang.." Which to me is the same with "Di siya maganda, pero okay na din!" Hahaha! When I arrived in the office, people were saying I look different. Some even said I looked serious. And again, when I ask them if it looks good on me, they just said "It looks okay." But their faces are way too obvious that they don't like it either. So again, 'twas a disaster. 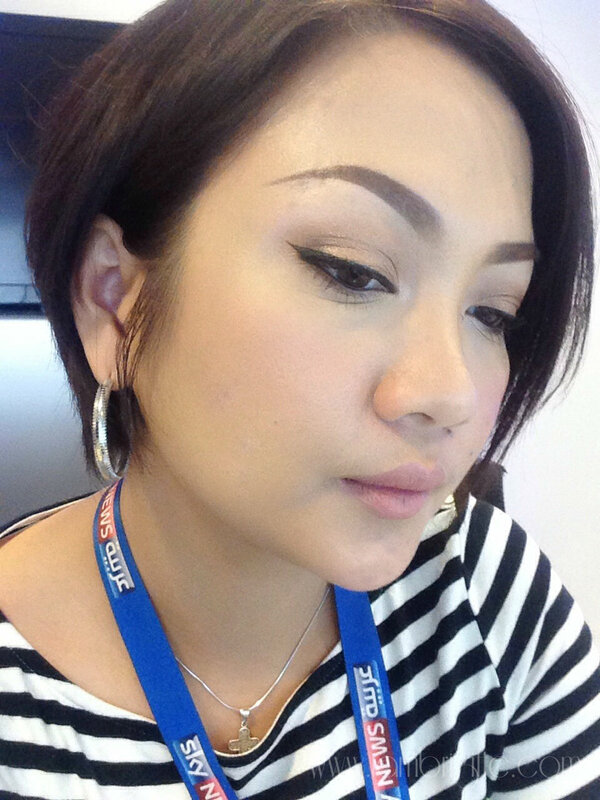 I scoured the internet to look for a good salon here in Abu Dhabi. I need this to be fixed! I decided to grow out my hair too so I also needed a hair cut, just so it will be re-styled and will look better while it's growing out. I called Hairworks, which is by the way already known to have really good hairstylists, and was able to talk to a kabayan. Whew! 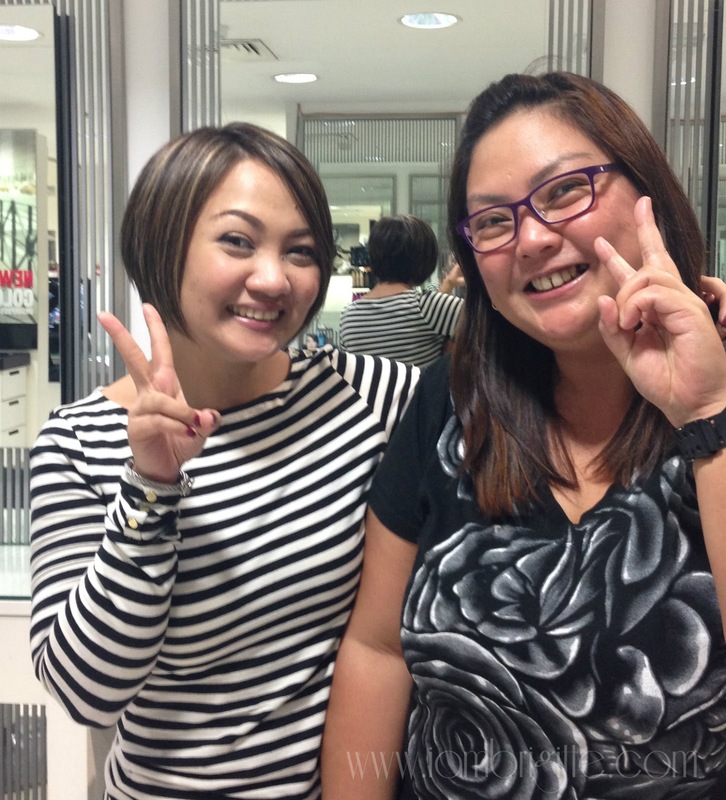 I personally wanted a kabayan to attend to my hair needs…ayaw ko ma-nosebleed no! My hairstylist was Alexa. 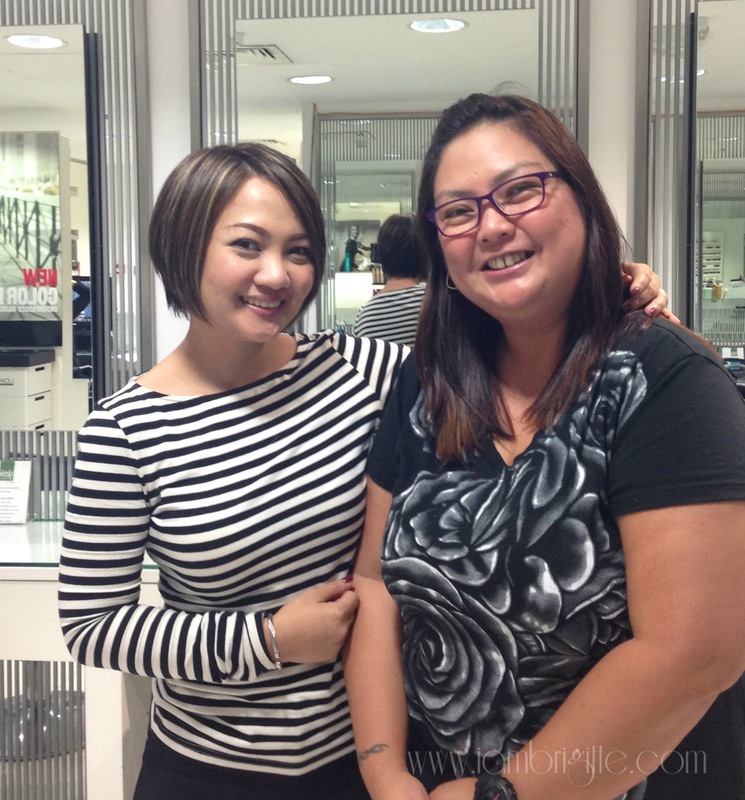 When she saw my hair, she immediately knew I just had it coloured…like a few days ago. She asked me what I want done and I said I wanted a lighter color. I asked if I need a full-head base color prior to highlights but she said it will only dry out my hair so we can do highlights na lang. She quoted me 350Dhs (I think) for a one-color highlights, 250Dhs for the haircut and 100Dhs for the color toner. 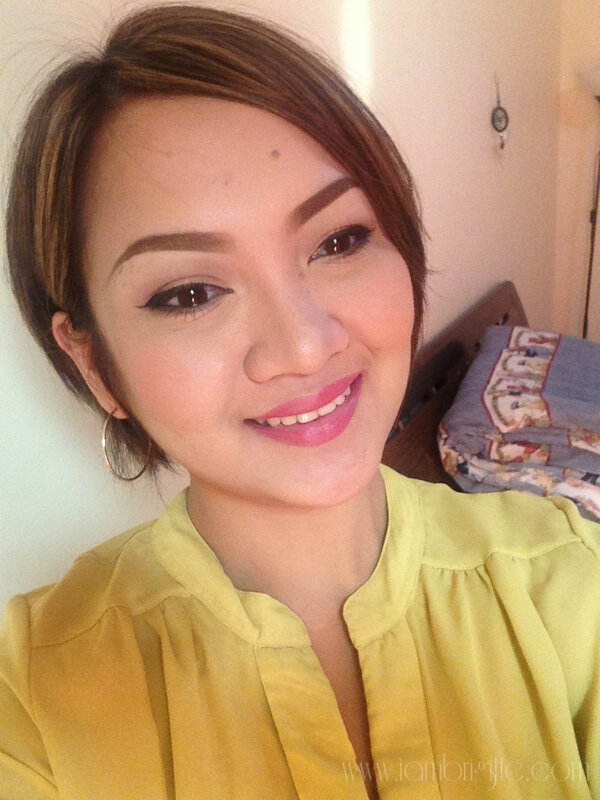 I wanted to go for at least a 2-color highlights but since it's expensive, sabi ko sige na nga isa na lang. LOL! But to my surprise, my hair looks like I have a 2-3 color highlights after! Would you believe she's already 42? She gave me a discount too. All in all, I paid AED512. It's not cheap but since I really like how it turned out, I can say it's worth it. I'm sure it will be a lot more expensive if I had it done in other known salons. And buti na lang din may discount! Hahaha! I love the color and the cut! It looks like my hair has a lot of body at the back, even without using a wax or the Davines Sea Salt spray. And my hair didn't dry out too! She's a great hairstylist, and one thing more, she doesn't hard sell! Don't you just hate it when hairstylists tell you how bad your hair looks and that you need this and that treatment? She's definitely not like that. She asked me what I'm already using and after telling her, she just said those would do. She just reminded me not to shampoo my hair everyday. Now, that is something I still can't bring myself to do. Hahaha, tigas lang talaga ng ulo. Also, I was there from 7pm until past 9. I was the only customer left and though most of the staff left already, Alexa didn't seem like she's in a hurry. She made sure I liked what she did. The salon's very clean too and the staff are all polite. I am pretty sure I'd be a returning customer at Hairworks. So, will I do DIY haircoloring again? I don't think so. Well, maybe I would if I already know how colours would turn out on my hair..and maybe if I can also do highlights. But for now…I'll leave my hair to the experts. By the way, Hairworks has a lot of branches. The branch I went to is the one in Spinneys Abu Dhabi.